US actress Meghan Markle has been baptised by the leader of the Church of England ahead of her marriage to Prince Harry in May, the Daily Mail reported on Thursday. Archbishop of Canterbury Justin Welby performed the 45-minute ceremony at London's Chapel Royal on Tuesday in the presence of Prince Charles, her future father-in-law, the paper said. Prince Harry's Kensington Palace office declined to comment. Markle, 36, is understood to have chosen to be baptised and confirmed into the Anglican church out of respect for Queen Elizabeth II's role as the head of the denomination. The ceremony involved the "Suits" actress being doused with holy water from the River Jordan from the private royal family font, according to the Mail. Also Read: Prince Harry, Meghan Markle's adorable engagement pictures will make you go WOW! 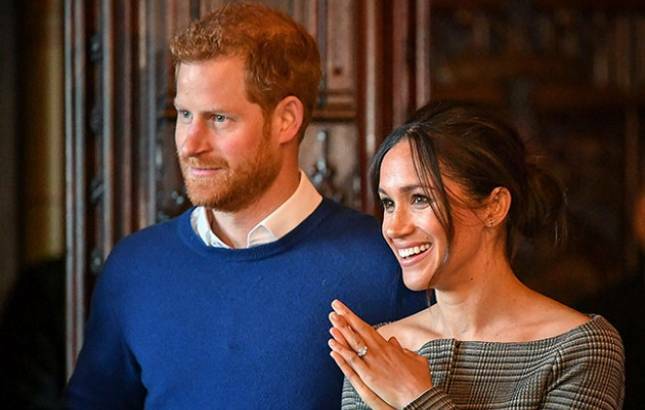 The couple will wed on May 19 at St George's Chapel in Windsor Castle, a residence of Queen Elizabeth II's located west of London. Markle's father is an Episcopalian -- an offshoot of the Anglican Church in the US -- while her mother belonged to another Protestant denomination. However, she attended the Roman Catholic high school in Los Angeles.